Geronimo was born in Lugano in Switzerland. The son of Argentinian Documentary Director Jorge Denti and Swiss Painter Manuela Generali. He has spent most of his life in Mexico where he majored in Film at the CCC (Center for Film Studies). Geronimo became a working cinematographer right out of school, and his aesthetic vision has been developed in parallel in the world of fiction feature films, television series and documentaries. He has shot hundreds of commercials and music videos, working not only for the largest brands in the world, but also for some of the most recognized artists, winning many awards for his work both in music and advertising such as the MTV Award for Best Cinematography for his work in “Como te Extraño mi Amor” by Café Tacuba”. 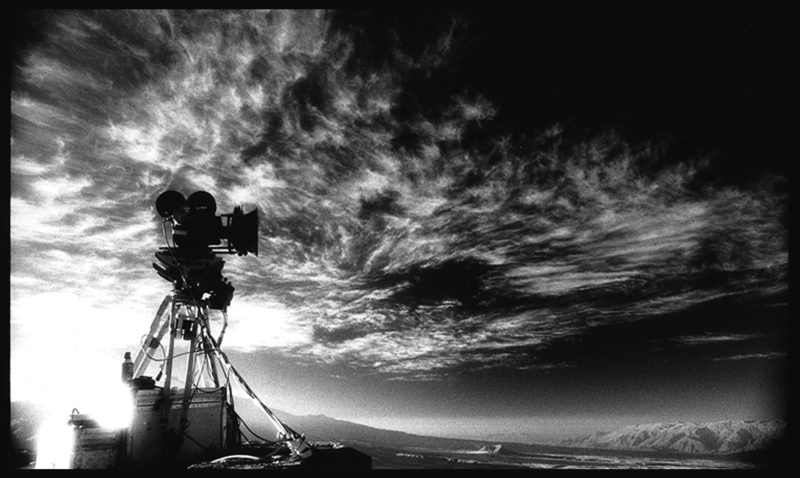 He has worked with some of the industry’s most important directors like Alejandro Gonzalez Iñarritu, Jorge Aguilera, Juan Carlos Martin, Gustavo Garzón, Hari Sama, Fred Clapp, Daniel Gruener, Felipe Fernandez, and Roberto Sneider, and hand-in-hand with Cinematographers like Rodrigo Prieto ASC AMC, and Checco Varesse ASC. Denti was awarded the “Diosa de Plata – Gabriel Figueroa Prize” for Best Cinematography in 2006 for his work in the feature film “Al Otro Lado”. His work in feature films begins in the year 2000, with his Cinematography in the award winning film “De Ida y Vuelta”, Directed by Salvador Aguirre, as well as Juan Carlos Rulfo’s documentary; “Del Olvido No Me Acuerdo”. He has also had the opportunity of working side by side with Vittorio Storaro when Geronimo was the Director of Photography for the second unit in the highly acclaimed Alfonso Arau film “Zapata”. Gerónimo has been the Director of Photography for some of the most successful television series in Mexico. “Hoy voy a Cambiar”, which had record breaking ratings for Televisa in 2017. “Super X”, “Cloroformo”, and “Los Heroes del Norte” have had the largest audience ratings throughout Latin America. Gerónimo Denti, AMC was most recently, the Cinematographer for the Docu-Series “Noctámbulos” with directors like Arturo Ripstein, Sergio Muñoz, Yulene Olaizola and Paulina del Paso. The series discovers new perspectives on the nocturnal urban landscapes in Mexico City.